OnePlus delivers everything their users want at a comparatively low price without sacrificing the quality, it is one such brand that's always been dominating over the affordable flagship space. From over the last few years, we also can see there is no decrease in the traction that had been increasing ever since Huawei had come up with its sub-brand; Honor. So just comparing the brands, we cannot conclude to a point which might be the better smartphone provider. 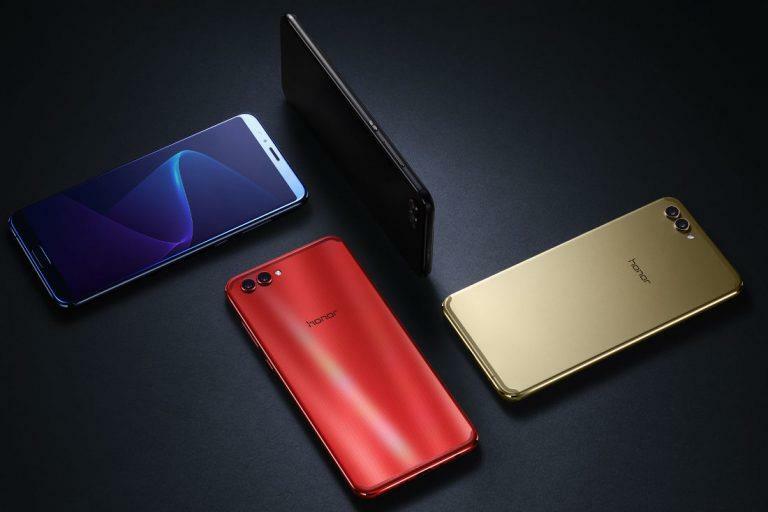 Honor View 10 being the latest flagship from Honor, it best suits in the market under budget-friendly space. So in order to find its competitors, we should be digging in the same space. And by doing so, the first one that pops out right away to compete with View 10 is none other than the OnePlus 5T which is the current flagship from the company that's running successfully in the markets around the globe. When taking OnePlus 5T to be the competitor, we should always be noting one thing separately that the flagship we have to choose was released on November 2017 and is the best competitor against the flagships from top brand companies like Samsung and Apple. 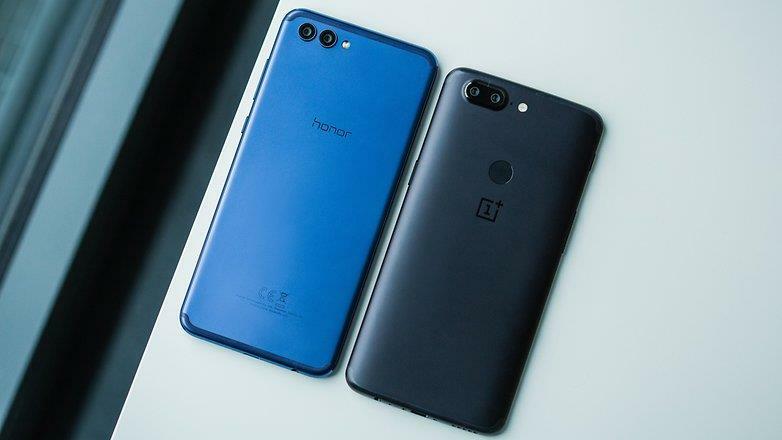 However, OnePlus 5T being an older device which was released a couple of month before the birth of Honor's flagship, will OnePlus 5T still hold its 'Flagship Killer' title after competing against View 10? Well, the answer to this question lies at the bottom of this article. Go through each of the lines below and at the end, you will surely be able to understand which one is better than another one. Needless to say, they are both really attractive and sturdy having metal bodies with smooth finishes. All metal bodies of both View 10 and 5T have a similar design with rounded corners and the same plastic antenna lines that are identically placed. Altogether they have a much closer resemblance to that of iPhone devices like many would probably say. The only difference between two in terms of design is the curvier look at the back of OnePlus 5T compared to the flat back delivered by the View 10. The curve of 5T along with the tapered sides to give a thin edge will add an advantage of better comfort in handling. Built wise both the devices are fantastic and deliver everything perfectly the way that users love to have. When it is becoming a weird trend to trim down the headphone jacks in latest phones to reduce complexity in the design, fortunately, both these flagship devices are blessed with a beautifully cared 3.5 mm headphone jack at the bottom alongside the single firing speaker and the USB type C port. In addition to the power and volume buttons on each side, the OnePlus 5T also delivers an alert slider on its left side. The notification slider being a trademark of OnePlus devices starting from its first device, the company continues to deliver it even on their latest flagship model for letting users easily switch between the ring profiles. However, in case of View 10, though you won't find any alert slider, you'll get to see an IR blaster on top. But do you really need one when every brand out there is eliminating the sensor on their devices? However, it's up to you and you'll find it handy if you want to use your phone as a universal remote. Another major change in the design field between the two is the placement of fingerprint scanner. On the OnePlus 5T due to the smaller bezel to equip a larger screen on the front, the fingerprint scanner has now shifted its position to the rear. On Honor View 10, the fingerprint scanner is placed at the front and it doubles as a home button. In terms of sensor speed, both work fantabulously and turn on your screen in no time. This is the area where these devices differ slightly. For all those OnePlus fans out there, the 5T has come up with a new 6.01-inch Optical AMOLED display leaving a very small amount of bezels around it. The 18:9 ratio screen delivers an almost bezel-less experience with approximately 80% screen-to-body ratio whereas the Honor device comes with a 5.99-inch LTPS IPS LCD display with the same aspect ratio as that of 5T but with a slightly lower screen-to-body ratio at 78.6% due to the embedding of home button/fingerprint scanner below the screen. Both these devices deliver same resolution at 1080 x 2160 pixels. Although these devices are similar in appearance, the slightly better display goes to the OnePlus 5T for that amazing AMOLED technology that will make your device look extremely wow. But with the LCD display, View 10 is not far behind 5T as it also delivers surprisingly great black levels, contrast and even offers very good viewing angles. This is the field where both these flagship battle head to head with no winner at the end. With Hisilicon Kirin 970 chipset, the Octa-core-powered Honor View 10 delivers an excellent performance with a 6GB of RAM underneath. On the other hand, OnePlus 5T also offers the same great experience with a powerful Snapdragon 835 processor paired with either 6GB or 8GB of RAM depending on the variant you choose. For added performance both the devices come packed with the best available GPU; Adreno 540 and Mali-G72 MP12 for 5T and View 10 respectively. In the field of storage, the View 10 from Honor has slightly the upper hand as it features a microSD card slot, which makes use of the SIM2 slot, apart from offering two variants; the 128 gigs and the 64 gigs models. Sadly the OnePlus 5T comes with the same variants without delivering any sort of storage expansion. With dual being a new reason for people to upgrade their old smartphone, the Honor View 10, as well as the OnePlus 5T, are both equipped with a 16 MP + 20 MP primary camera at their back. With f/1.7 aperture, 5T holds much higher low light capacity compared to the f/1.8 aperture of the View 10. Although both the devices come with a dual LED flash, View 10 and the 5T is limited with just a phase detection autofocus, rather than any Laser system that would have made a premium feature out of a mid-range smartphone. In the field of video recording, both the devices are capable of recording videos at 2160p resolution at 30 frames per frames. Along with high resolution of video recording, the 5T also features slow-motion capability at 120 fps. For secondary selfie camera, both have a f/2.0 sensor with 5T being superior in terms of megapixels delivering 16 MP compared to the 13 MP one in the View 10. Down under, both these devices are provided with a huge battery to keep the device powered more than just a day. With 3300 mAh of battery capacity, the 5T is less in terms of battery juice compared to the huge 3750 mAh battery of the Honor View 10. For fast recharging capability, both are equipped with fast battery charging techniques with the 5T providing the popular Dash Charge. Talking about the price, OnePlus 5T starts from Rs 32,999 for the base variant while the Honor View 10 is priced slightly lesser with a price tag of Rs 29,999 on Amazon. 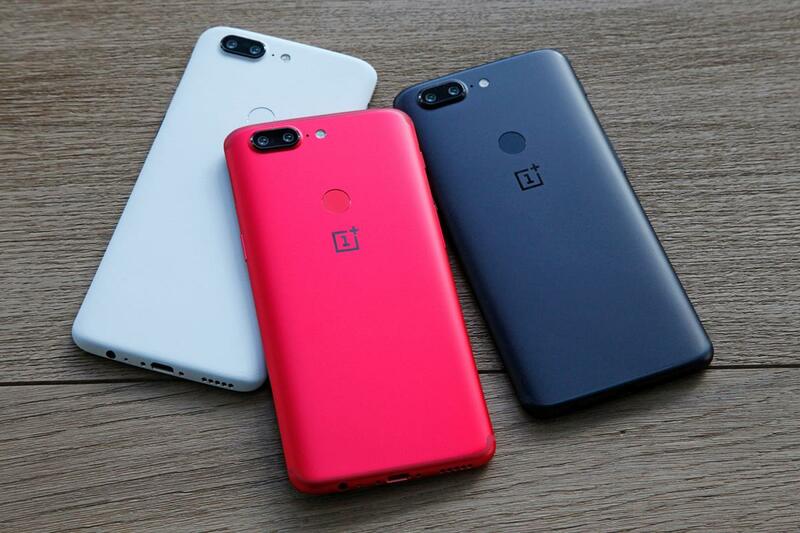 In terms of the color that these products come in, we can see the 5T offers 3 colors; Midnight Black, Lava Red, and Sandstone White. However, the View 10 offers an added variety of colors that include the Beach Gold, Aurora Blue, Navy Blue, Charm Red and Midnight Black. Which one is better: Honor View 10 or OnePlus 5T? One thing you might have noticed down the road is that these devices look extremely similar on paper with slight variations. But with slightly more added features, tweaks, and upgrades, OnePlus 5T holds an upper hand in the field of design, display, software and user interface. However, it's not the time to kick out the View 10 yet, as it too holds an upper hand in the department of storage expandability compared to the 5T where the user has to stick with what their company had to offer. Also in the field of camera and photography, here too Honor's View 10 holds the advantage over 5T with NPU and better dual cams. View 10 comes right out of the box with the latest OS without having to waste your time upgrading like the OnePlus 5T. Apart from the above-mentioned ups and downs for both the flagships, rest of the specs and features are slightly same on the paper. If you're looking for downsides of both the devices, both of them lack many features that most flagships of 2018 already comes with. Like the absence of wireless charging capability, IP dust/water protection etc. So what have you thought of? Which flagship do you think is better for you? Still confused! Wait, let me help you once again. After all, it depends on your personal preference, what you like your smartphone should be looking and feeling like. If you're someone who is the added features that OnePlus 5T offers like the alert slider, AMOLED screen etc. then your best pick will be the 5T. However, if you are a space-hungry person who isn't satisfied with the 64 GB or even 128 GB storage of 5T, then you can go for View 10 with a dedicated microSD card slot. Also by choosing View 10, you won't be depressed as you weren't wrong about it. It delivers nearly perfect camera experience, slightly higher battery capacity and a ready to launch OS system. So that's it! You now clearly know which device to go for, don't you? 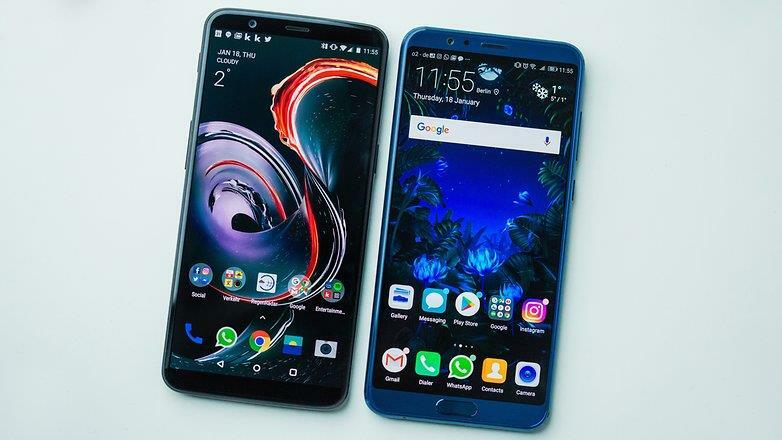 So have you been able to find out which device among the two is the real flagship killer, without me having to tell you? Now it's time to go with your decision and get your next smartphone of 2018 right away.